Award-winning author Marty Essen will present his high-energy multi-media show, “Around the World in 90 Minutes,” at the three campuses of West Virginia Northern Community College later this month. All shows begin at 6 p.m. on the following dates: Tuesday, March 20, on the Wheeling campus in the auditorium of the B&O Building, 1704 Market St.; Wednesday, March 21, Room 110, New Martinsville campus, 141 Main St., and Thursday, March 22, Rooms 242-243,Weirton campus, 150 Park Ave.
“Around the World in 90 Minutes” began as a show Essen presented in bookstores as part of his first book tour. Later, after numerous refinements, the show took on a life of its own in colleges, museums and nature centers across the United States. Light refreshments will be available at the shows. Call 304-214-8917 for more information. 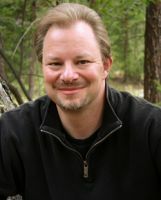 Essen has won multiple book awards for travel/essay writing, including the Benjamin Franklin Award, the Best Books Book Award and the National Indie ExcellenceAward. 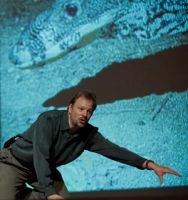 In addition, he won a first place award at the 2009 Green Book Festival in Los Angeles, and the Minneapolis Star-Tribune named “Cool Creatures, Hot Planet” a top-10 “Green” book.